Each year my family watches Elf to start off our Christmas season. On good years, we work in another viewing just because we want more. What can I say, I love Elf. I love Elf, and I don’t care who knows. Still, a review of this classic by Will Ferrell may seem a bit late. 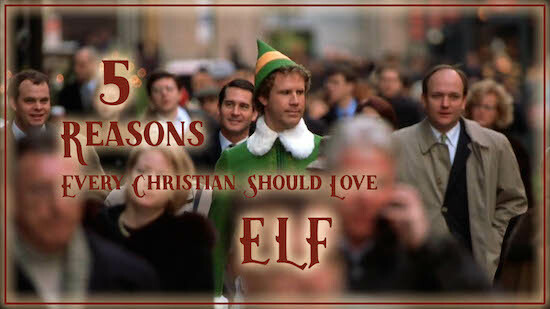 But, I have two reasons to write why every Christian should love Elf. One, even without any mention of Jesus, it has many qualities Christians would like to spread, even if we don’t sing loud for all to hear. Two, there a few messages Elf reveals that we all need to embrace more. To find out what those are, just read ahead… I’ll catch up. First of all, Buddy loves everyone, the Artic Puffin, Francisco, and the guy in the mailroom. I think too many of us Christians come off like Walter Hobbs, Buddy’s dad. That may be harsh, but if we looked at a spectrum with Walter Hobbs on one end and Buddy at the other, most of us wouldn’t connect with the loving guy. Buddy didn’t only love people who were like him, even though he did like seeing humans who shared his affinity for elf culture. Still, he complimented purpley dresses and told women they had pretty faces. Christians, at times, come across looking like we only love people to get them to become Christians. Then we don’t love them when we are not trying to share our faith. Can we love that Hillary or Trump supporter we work with? You know Jesus would. That’s shocking! It would seem that this is the same as before, but I feel there is something more. Care takes us to another level that allows us to be hurt by someone else. I think we typically fear people too much to truly care for them. That’s really shocking! What I mean is this. We are afraid to be hurt and assume if we truly care about another person, that will put us in a place to be hurt. Buddy sees an angry elf charging at him, and he only thinks that person needs a hug. Buddy truly cares about others, and he will put in a good word for you with the big man. When you love and care about others, if you are really doing it right, people will start to like you. Some may be hard to turn around, as in Buddy’s dad, but Buddy goes into a place where it looks like everyone wants to hurt him and turn it into a dance party. When you enjoy people, people enjoy you. People enjoyed being around Buddy. People enjoyed being around Jesus. Do they like being around Christians? This probably makes the movie the most enjoyable. He is extreme and crazy, but he seems to be completely comfortable being himself. It’s cute innocence. If you can sing alone, you can sing in front of others. To Buddy, there is no difference. Ok, cutting down a tree in Central Park is wrong, but when you are comfortable with yourself, you can freely give to others. He enjoyed life and invited others to live it with him. Oh, how I want to be more like this. To be completely free to be yourself makes life so much easier. You don’t have to worry about what other people will think. As Christians we can trust that God gave us a pure heart. There is nothing left in us that desires evil. We can live freely from ourselves because we have nothing to hide. Everything left in us is pure and good. Christmas is a time to dream. Kids make wish lists for Santa or their parents or both. You may want a Susie Talks Alot, a trip to the spa, or a Tiffany engagement ring. Wish lists are signs of dreams and hope. Jesus came to give life and life abundantly (John 10:10). He didn’t mean for us to live out our lives in quiet hope for death to come to take us home. Jesus has a life for us to live here on earth. Jesus said that young men will have visions and old men will dream dreams (Acts 2:17). We have something to look forward to. Let’s live with joy and hope of something good coming. Elf is a fun movie, but it also causes my heart come alive. Seeing people’s faith activated at the end, even if it is only for Santa – it brings joy to me. There is a hope of good in this world. 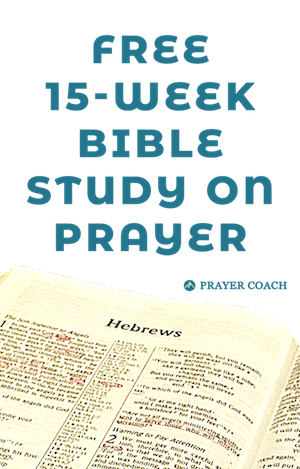 There is a place to expand on what Jesus came to bring. Every Christian should love Elf. It’s wholesome, fun, and there is always room on the nice list. Treat yourself and watch Elf again. Treat everyday like Christmas! ← Where is the Great Joy?